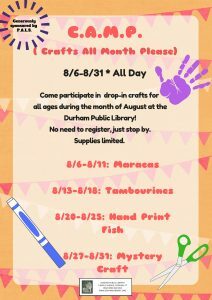 Come participate in drop-in crafts for all ages during the month of August at the Durham Public Library! No need to register, just stop by. Supplies limited.